The national pride of Argentina, tango, feels comfortably at ease in many countries of the world nowadays. Moreover, this dance, which was initially a mix of many cultures, continues to assimilate and become enriched with local traditions. In Russia there is group of tango musicians, the Solo Tango Orquesta, who have been involved in the world of tango for so long that the best dancers from Europe and Argentina accept them as equals. The orchestra is an official performer in large international festivals such as Milonguero Nights, Planetango, El Tangon, Sabor del Tango, and winners of numerous international tango competitions. 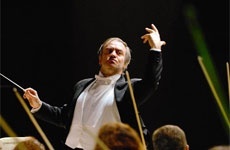 The musicians are celebrating the 10th anniversary of the orchestra this April in Moscow, with many international stars such as Sebastian Arce and Mariana Montes, Ruben and Sabrina Veliz—star couples from Argentina, and the Silencio Tango Orchestra—another jubilant band from Switzerland. Buenos Aires and moved to Switzerland where he created a group together with a brilliant bandoneonist from Uruguay, Jose-Luis Betancor. Ruben and Sabrina Veliz are another stellar dancing couple from Argentina. Having gained vast experience in major Argentine shows, they tour nowadays as a couple all over the world, equally anticipated at embassies’ receptions and clubs. well as performers of Russian traditional and folk music. Choral and bell-ringing programmes make up a special part in the Easter Festival, they resurrect the ancient tradition of the Orthodox Easter celebrations. The best bell ringers from not only Moscow, but Vologda, Vladimir, St Petersburg and Yaroslavl give unique performances of bell music in Moscow’s largest cathedrals. 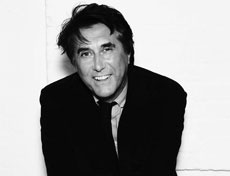 Bryan Ferry’s long career is a brilliant combination of solo success with his role as the singer, lyricist and principal composer for Roxy Music, which generated a variety of chart hits including Love Is The Drug, Let’s Stick Together, Slave To Love, Avalon, Jealous Guy, and Don’t Stop The Dance. Last year saw the release of his 13th solo album, Olympia, which he described himself as “a labour of love”, which means that this year Bryan Ferry is on tour and Moscow is luckily on the list. Bryan Ferry worked on this album for several years and invited a stellar cast of musicians to collaborate on it the Scissor Sisters’, Groove Armada, Dave Stewart of Eurythmics, Pink Floyd guitarist David Gilmour, Nile Rodgers, Radiohead’s Jonny Greenwood, Flea of the Red Hot Chili Peppers and ex-Stone Roses and current Primal Scream bassist, Mani. But another pivotal ingredient in this album is Ferry’s own instrumental role, too. During his Roxy Music time he played a bigger role on keyboards than in his solo career. refined music is also magnificently illustrated. The inspiration for the cover of the album was Edouard Manet’s painting “Olympia”. Kate Moss—one of the best recognizable faces in today’s world of fashion—posed for Adam Whitehead for the cover which became a perfect visual accompaniment to the album’s distinctively modern and sophisticated sound.